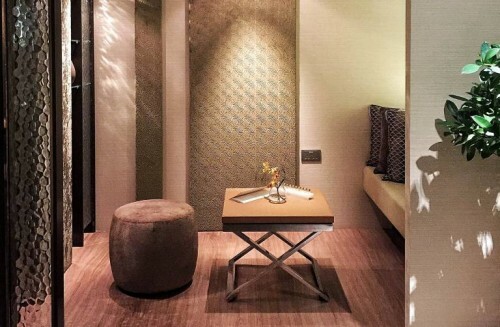 Over the Years: Aromatherapy Associates extends their long history of aromatherapy expertise to Southeast Asia. Being a fan of essential oils, it has been an enriching and fulfilling time the past weeks to finally get to experience and know more about a brand that is established to share the benefits of aromatherapy and that introduces the the true power of essential oils into our everyday lives through a range of therapeutic-grade products and treatments. 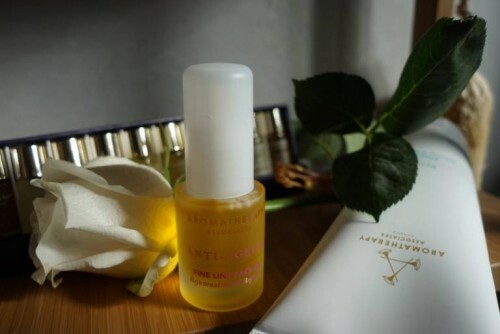 And now, Aromatherapy Associates are extending their long history of sharing the benefits of aromatherapy with more people in Southeast Asia via Sephora.sg. I shall follow my instinct, my head, my heart. After all, we are on the topic of something that makes us feel good; Aromatherapy. So, let me dab on some essential oil and go with the flow! 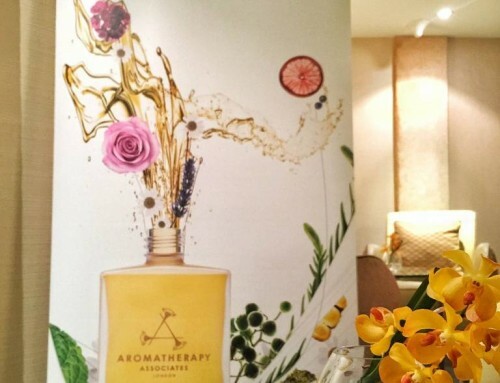 Let’s go back to 1985 when this British brand, Aromatherapy Associates first started. They have been the leading experts within aromatherapy for over 30 years. The founders, Geraldine Howard and Sue Beechey deep passion for teaching, practising and blending oils started back in 1970, when they were both trained under Micheline Arcier, student of aromatherapy founders Marguerite Maury, an Austrian biochemist and skincare pioneer, and Jean Valnet M.D., an expert in the science of essential oils. the brand continues to deliver incredible results for physical, mental and emotional well-being till this day. 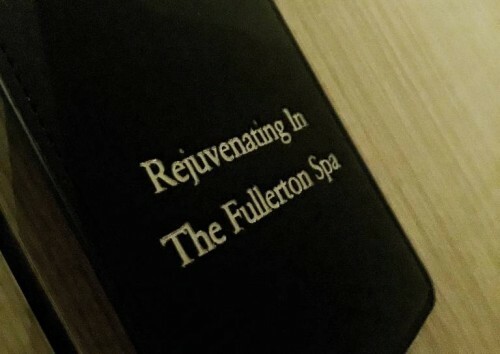 Exhausted from the multiple hats we all wear; work, family and especially the recent change in domestic arrangement, housework, I was thrilled to head to the beautiful Fullerton Spa at Fullerton Hotel two weeks ago for that much needed relaxation. What better way to get to know Aromatherapy Associates than to experience their hero treatment, The Ultimate Aromatherapy Experience. The treatment started with a consultation to find out how I was feeling that day by answering some carefully designed questions. Based on those symptoms, a selection of three essential oils were picked for the aroma test. My beauty mantra has been to “Listen to Your Skin” as our skin condition changes daily and we need different range, doses to address the skin concern. The same concept applies to aromatherapy. And that’s how I choose which scented candles to burn daily. So, what did my nose tell me? I was clearly having some stiff shoulders and needed to loosen my muscle but interestingly, I chose “De-Stress Mind” instead of De-Stress Muscle. It appeared that my mind occupied with a long To-Do List, needed to relax more than my body at that point in time. Am so proud of my nose for doing a great job! Ha! “De-Stress Mind” helps clarifies thoughts, get them organized and eases emotional stress and confusion with clarifiying powers of frankincense, petitgrain, wild camomile and rosemary. Now that I had the chosen oil, I couldn’t wait for it to start. And the first drop of oil on my back instantly dissolved away all of my stress and tension. Using an intense massage ritual drawn from a fusion of Eastern and Western techniques, the treatment works on our body, mind and spirit. After the 60 mins session, my muscular tension was relieved, lymphatic drainage activated with healthy circulation. Besides treatments, how else can one enjoy the healing powers? Today, the brand offers a range of over 100 products addressing specific needs and skin types and encompasses skincare, body care, home & ambience, travel and gifting products as well as a specific skincare range for men. One star range of the brand is the bath and shower oil, the brand’s first invention and the milestone of their product philosophy. A glance at this box of 10 Miniature Bath & Shower Oil was enough to relax all my muscles and send me to sleep. But at the same time, very exciting, not calming at all. Ha! If scents hold the power to promote our general wellness and is targeted at our exact sentiments at that point in time, this multi-award Collection is to me, a box of solutions to my daily woes. And that is very calming and exciting at the same time. Relax will help you slow down or induce a good night’s sleep, De-Stress can help to clear your mind and ease physical stresses and strains, Revive invigorates and energises a weary mind and body, and Support takes care of you in times of need. These 3ml bottles can be used in the bath. Pour some into the water just before stepping in. When used in a shower, apply it on skin for a couple of minutes and rinse off. I like to add some into the foot soak for the family. And if time allows, I get them to do a short aroma test too for their customized foot soak. Immersing their feet in a nice warm soak can help reduce stress, relieves aches, soothes muscles after a long day. It is also easier to exfoliate and prevents bacteria. Add on some flower petals to enhance the experience even more. What more, these make the perfect travel size bottles for the hotel bath, to surprise and delight! 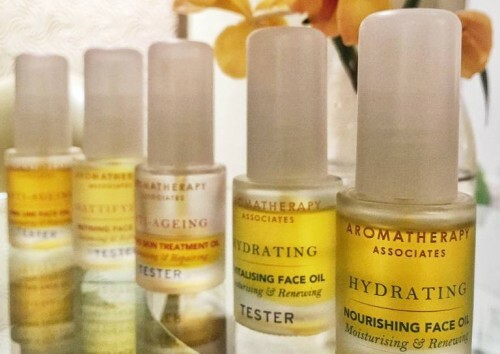 Their facial oil range meanwhile proves Aromatherapy Associates as one of the true global experts. Most brands will have one or two blends of oil for specific needs, but Aromatherapy Associates caters to various skin types and needs; a must have addition to our serious skincare regime. 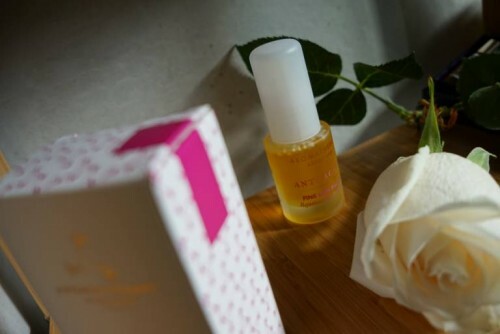 One of the popular ones is the Fine Line Facial Oil with anti-aging oils of evening primrose and ximenia. Essential oils of rose and patchouli encourage healthy glowing skin while apple and raspberry seed oils help to plump your skin’s appearance, softening the look of fine lines. Due to an injury on my right foot, the Therapist noticed that I was having water retention on my leg and recommended the Body Gel. It helps reduce it and also to promote a healthy micro-circulation. I massage it into my ankles and feet to twice daily to enjoy the refreshing and invigorating powers of grapefruit, rosemary and juniper. It helps soothe and comfort my tired legs especially at night. Apply on hips, thighs, stomach to help improve the appearance of cellulite and enhances skin colour, tone and texture. 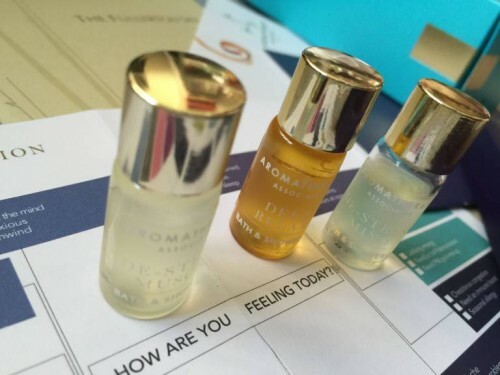 A strong advocate of making time for ourselves each day to heal, a lover of essential oils, I’m delighted to get to know Aromatherapy Associates and to share the goodness through this platform. Oil is a form of therapy. And according to Lynsey Woolliscroft, the brand’s SEA Region Manager, the hand of the therapist breaks the barrier. How enlightening! 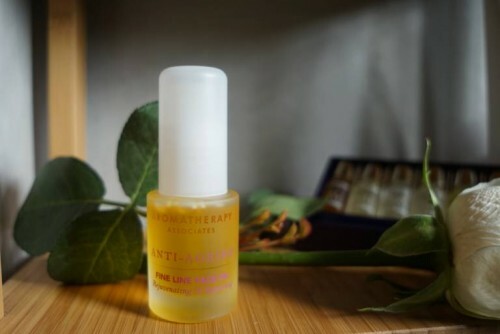 So head down to Fullerton Spa for an indulging afternoon of treatments or visit Sephora.sg for some luxurious spa care products which you can use daily like how the 10 Miniature Bath & Shower Oil is to me, a box of solutions and healing powers. Visit www.sephora.sg for a list of Aromatherapy Associates products.